Renata Dalmaso, a PhD student from Brasil, won the PG CWWN/CWWA postgraduate bursary competition to attend the CWWA conference ‘Contemporary Women’s Writing: (Wo)man and the Body’ at the National Chiao Tung University, Taiwan. 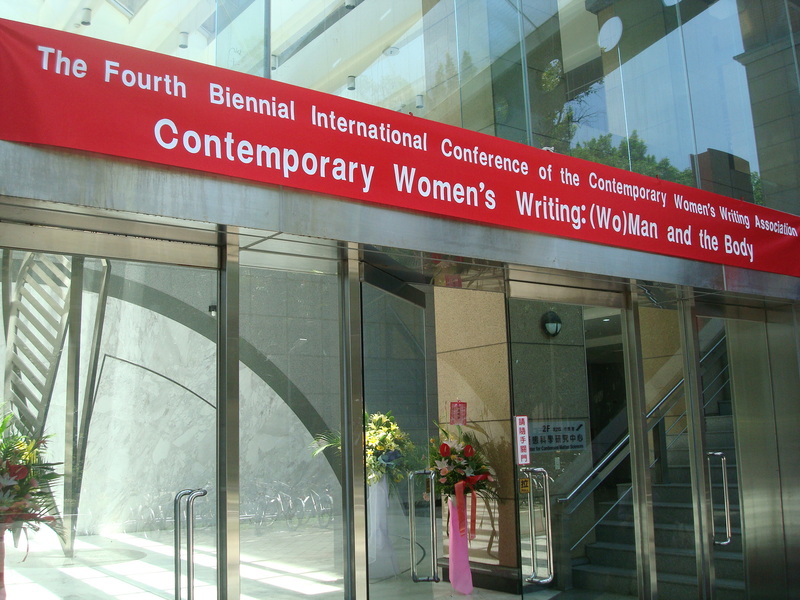 The Fourth Biennial International Conference of the Contemporary Women’s Writing Association was, for the first time, held on the Asian continent, and, more specifically, in Taiwan in July. Delegates from all parts of the globe received a very warm welcome (literally, as temperatures were soaring in Taipei at the time) and got a chance to interact, discuss, and exchange ideas about the conference main theme: (Wo)Man and the Body. For three consecutive days the delegates — a very mixed group comprised of senior, early career, and postgraduate academics—followed a tight and impeccable schedule that accommodated several feature talks and addresses, as well as three concurrent panels. The wide range of topics and perspectives was reflected in the selection of featured speakers. The conference opened with a keynote address by Professor Clare Hanson, focusing on new narratives of inheritance that interrogate the model of genetic reproduction and go beyond the gene. Writer addresses by Florence Howe, Linda Hogan, Shirley Lim, and Weichen Su added another layer to the discussions by presenting a perspective more closely associated with the production of literature itself, along with its implications such as publication, demand, choice of genre, audience, and style. Susan Friedman and Susan Watkins contributed to the debate raising questions about the body and embodiment in terms of memory, amnesia, and transcorporeality within specific works. The fact that the conference was held for the first time in Asia worked out in two different ways. It allowed for a large number of Asian scholars and academics to participate in an event that due to costs and scheduling conflicts would have been much smaller if it happened at the other side of the globe. They comprised about a little over half of all the delegates. And second, it provided a new insight into the kind of research being undertaken there and the fascinating literature being produced that does not always cross the continents. During the event we were lucky enough to attend a traditional Chinese dinner, one of the many treats provided by the organizing committee. Between estrangement and delight we were able to get a taste of another culture and learn a little bit about its histories and traditions. 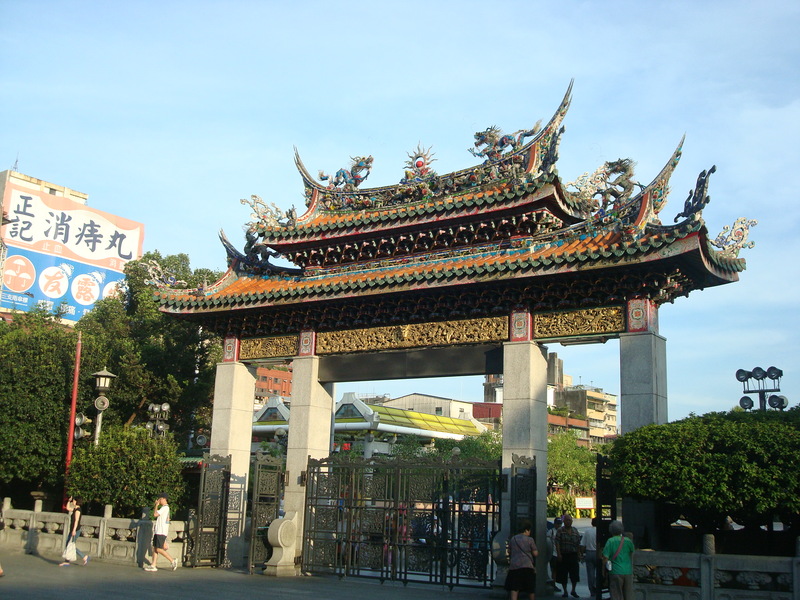 After the conference, a group of the delegates was even able to go on a full-day tour of Taipei, also arranged by the organizing committee, which worked as a great send off to this wonderful conference. On a more personal note, I felt particularly privileged to be able to attend this event in the capacity of a postgraduate bursary winner. To be able to combine academic work and cultural exchange in this way was something specially fortunate. Renata Dalmaso, Universidade Federal de Santa Catarina, Florianopolis, Brasil. This entry was posted in PG CWWN and tagged conference report, cwwa, PG CWWN bursary, Taiwan on 12/09/2012 by pgcwwn.